Malwarebytes already offers a decent security app for Android, but the company has never had a version for iOS -- until now. While iPhone and iPad users are less at risk from malware than their Android counterparts, thanks to Apple’s walled-garden, they aren’t necessarily completely safe -- the threat of spam calls, scam websites, fraudulent texts and bad ads remains. Malwarebytes for iOS, offers four security features to make users’ mobile experiences faster, safer and more private. It’s available as a free download in the Apple App Store, with additional premium features available if required. Users get a free 30-day trial of the premium features, and if you want to continue using them you can sign up for a $1.49 per month -- or $11.99 per year -- subscription. Web Protection keeps users safe from phishing and fraudulent destinations, online scams and other web-borne threats while browsing in Safari. Call Protection provides caller-ID warnings or blocks incoming calls from known and suspected scammers including 'spoofed' calls that make their number appear similar to yours. Ad Blocking blocks intrusive ads in Safari. The application also offers protection from ad trackers which watch and log a user’s online history and behavior. Text Message Filtering forwards fraudulent texts from known scammers or texts containing phishing links to a resident junk folder, minimizing invasive and annoying text spam. 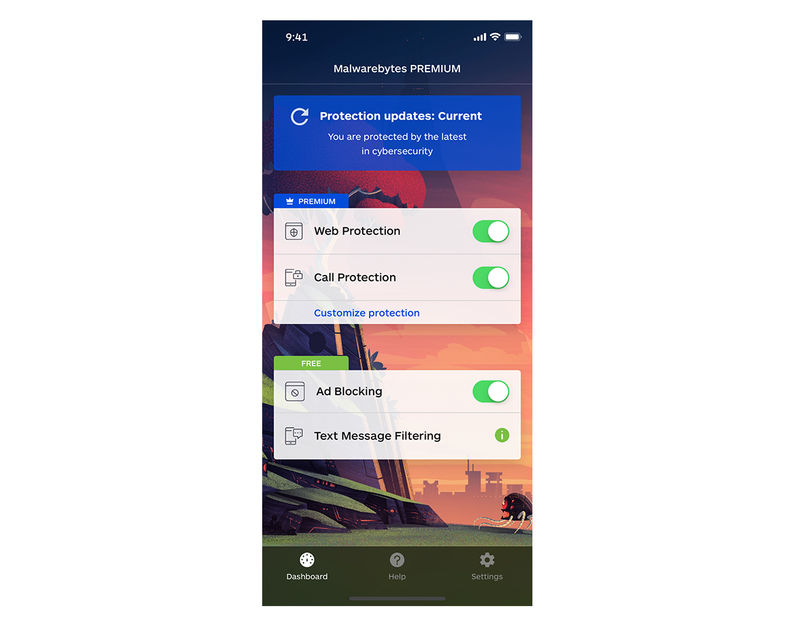 "Our customers rely on Malwarebytes solutions to keep them safe and we’re excited to offer a new product to help protect against scams and other annoyances that target their iOS devices," said Thomas Reed, director of Mac and Mobile at Malwarebytes. "We are pleased to be able to deliver a unique mobile product that goes far beyond simple browsing protection. This new offering is the only iOS security software that combines protection from fraudulent calls, scam texts and malicious websites in one convenient app, while also blocking intrusive ads and ad trackers that invade your privacy." Malwarebytes for iOS requires iOS 11 or later. The current app and its full set of features and functionality are optimized for iPhone customers, but iPad and iPod users can take advantage of Web Protection and Ad Blocking too. Future updates will include user interface improvements intended for iPad and iPod touch users. You can download the app from the iTunes store here. It’s US only for now.